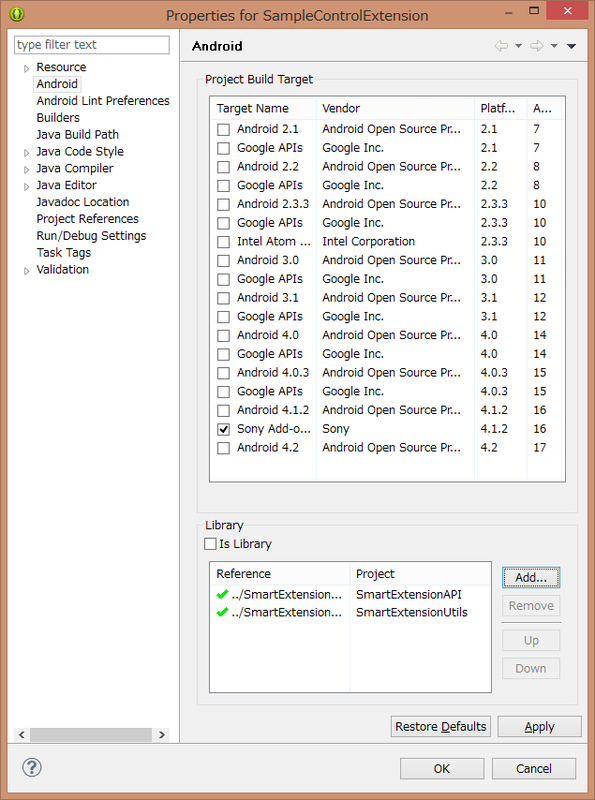 SDK is installed via Android SDK Manager. 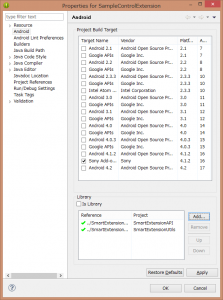 Detailed steps can be found in page below. 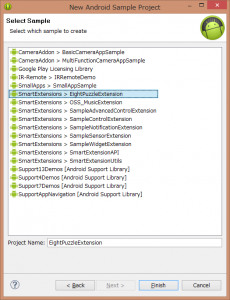 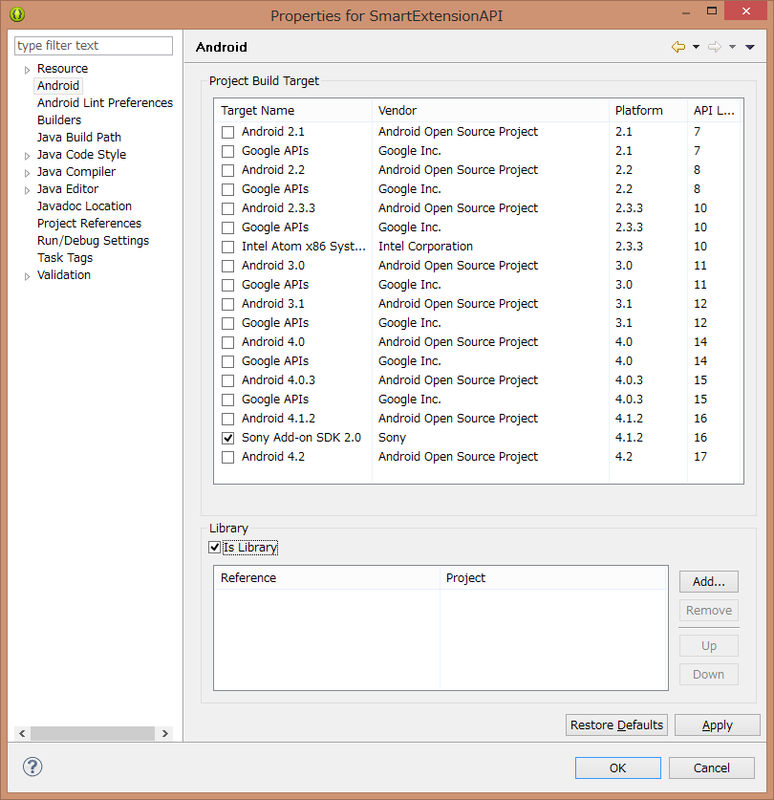 to path, and under Android 4.1.2, install “Sony Add-on SDK 2.0” (and/or later version). 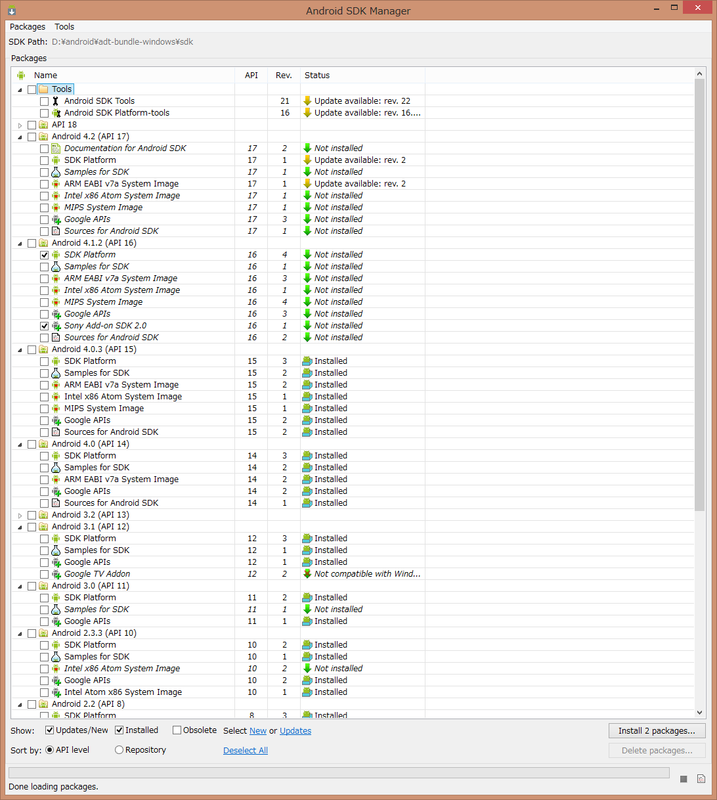 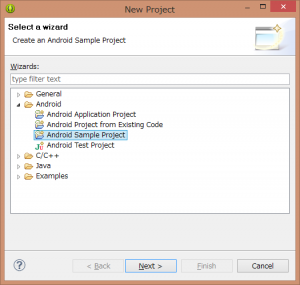 After installing, open File -> New -> Project, and select Android Sample Project. 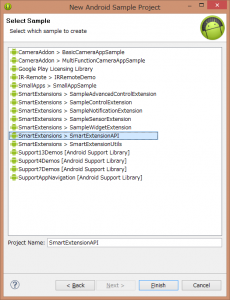 Open project property for SmartExtensionAPI, and check Is Library. 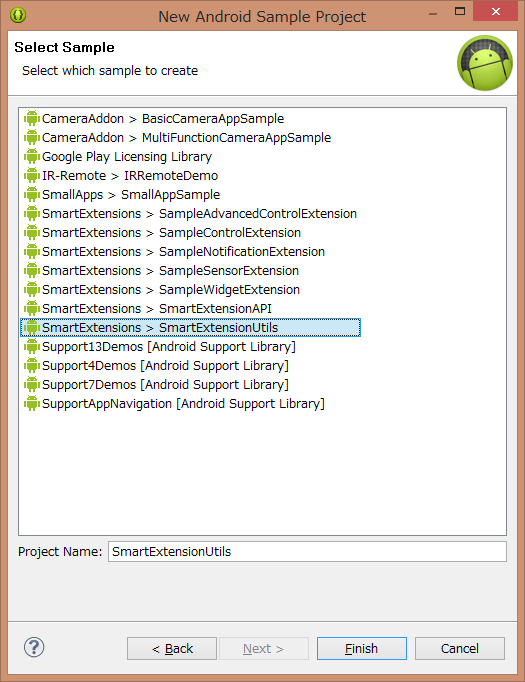 Open project property for SmartExtensionUtils and check Is Library, and click “Add” button and add SmartExtensionAPI. 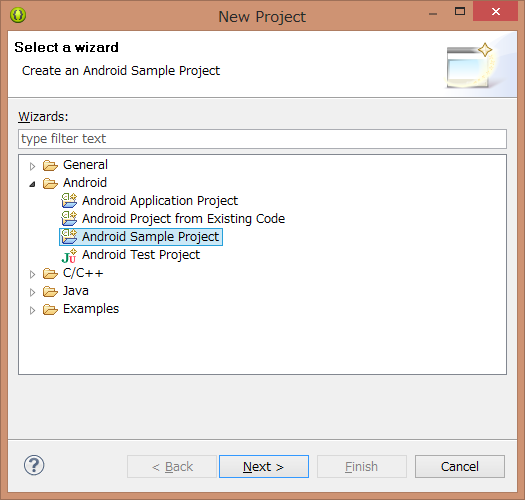 Then, select Sample project you want to try. 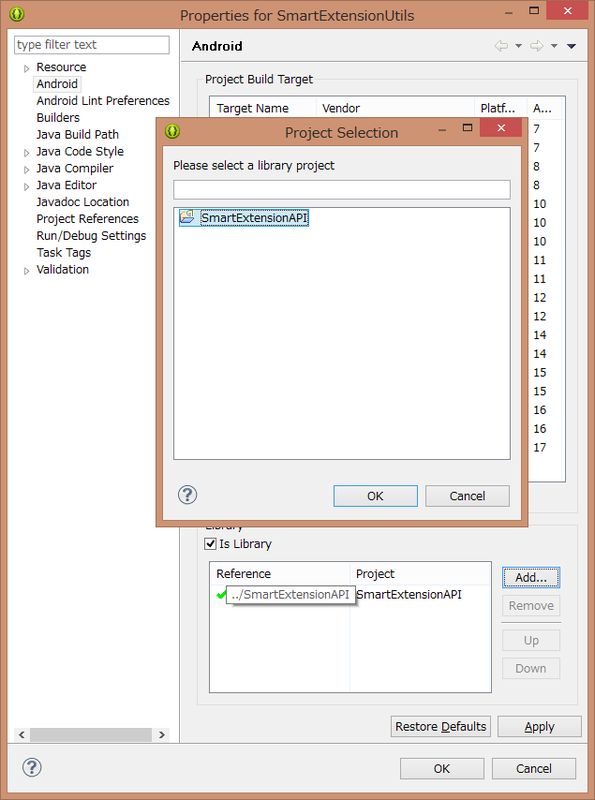 In project property for sample project you selected, click “Add” button under Library and add SmartExtensionAPI and SmartExtensionUtils. 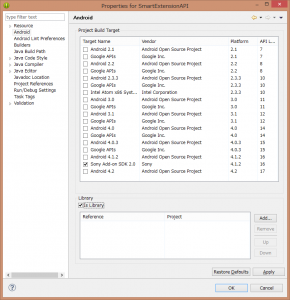 Now, you are ready to build project, install to Android device as usual. 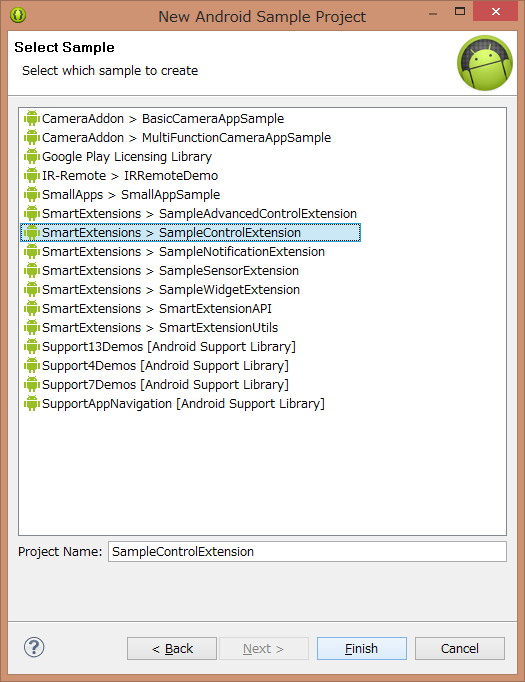 You should see sample SmartWatch extension installed and listed in SmartConnect. 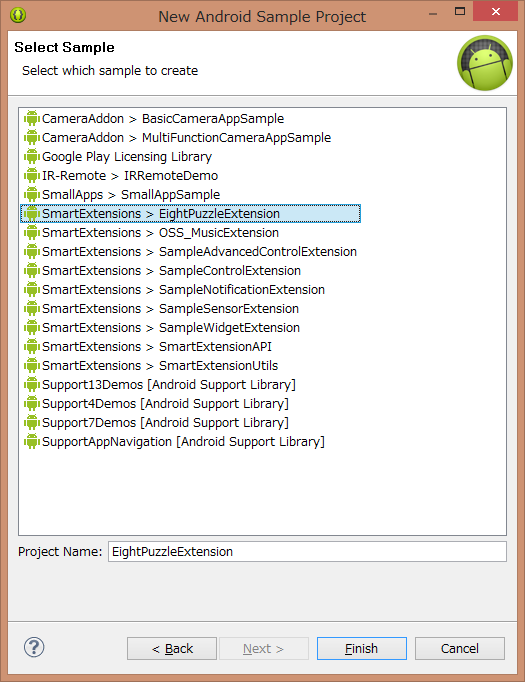 If you want to try EightPuzzleExtension or MusicExtension, download file first. 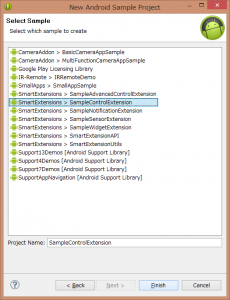 After downloading, copy 2 folders to sample folder under Sony SDK. 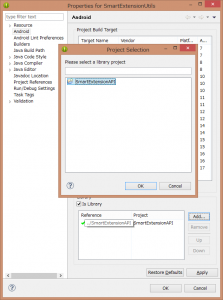 After copying, you can import sample project with same steps as above. 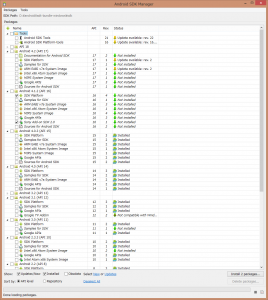 Configure Library and build, and you should be ready to try.